Mr. Ballard is a member of the firm’s Litigation and First Amendment and Religious Organizations sections. He is involved in all aspects of litigation, alternative dispute resolution and appellate practice for various corporate and individual clients, including government contractors; information technology and bioscience companies; hospitals and clinics; skilled nursing facilities; and individual healthcare practitioners. He has obtained successful results for clients in mediations, in administrative proceedings, and in state and federal court cases and appeals. Mr. Ballard defends practitioners against licensing actions by the Division of Occupational and Professional Licensing. He helps clients to comply with subpoenas and other records requests, and to implement best practices in electronic data preservation and discovery. He frequently represents physicians, psychologists, pharmacists and other practitioners in depositions, court appearances, licensing panel reviews and formal hearings. He assists healthcare organizations to protect against fraud and abuse exposure, helping them avoid overpayment liability, improper referrals and patient inducements by complying with the Stark Law, Anti-Kickback Statute, and OIG Civil Monetary Penalties Law. He appeals medical bill payment denials by government and commercial insurance carriers, represents healthcare creditors in bankruptcy proceedings, and negotiates solutions to patient billing disputes or resolves them through litigation. 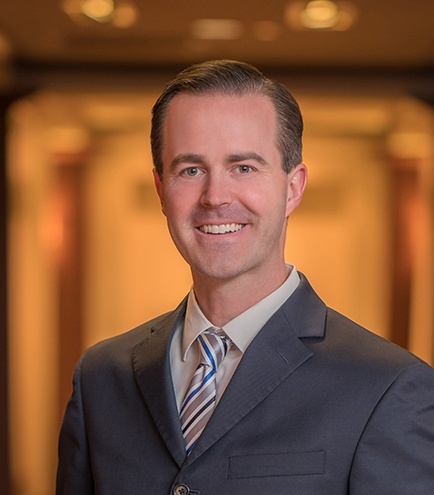 Mr. Ballard spent five years working in-house for Intermountain Healthcare, where he advised clinical programs, care providers and risk managers on preserving quality of care improvement privileges while addressing patient consent and liability issues. He also advised Revenue Cycle personnel on medical collections and payment, helping them protect against fraud and abuse exposure by ensuring appropriate billing and reimbursements. He appealed medical bill payment denials by government and commercial carriers; responded to payer audits; protected creditors’ rights in bankruptcies; and litigated many kinds of collections disputes.